Having a preschooler means discreetly throwing away a pile of art everyday. 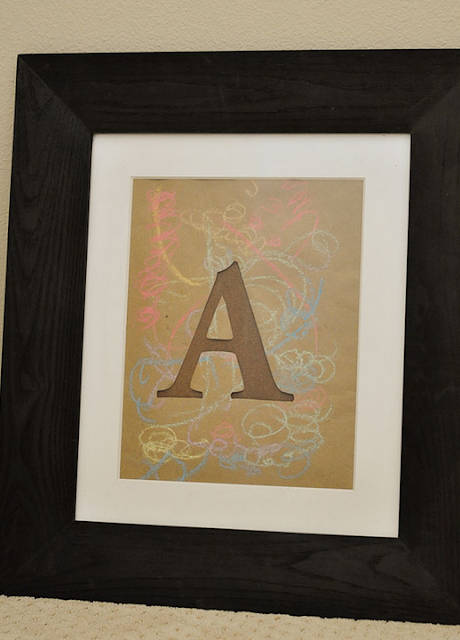 I always try to keep a few pieces on display to keep her happy and this fun kids art monogram is a great way to keep your favorites permanently on display, maybe even as decor in their bedroom or play room. I love this idea! It is super cute and perfect for a kid's room or playroom.